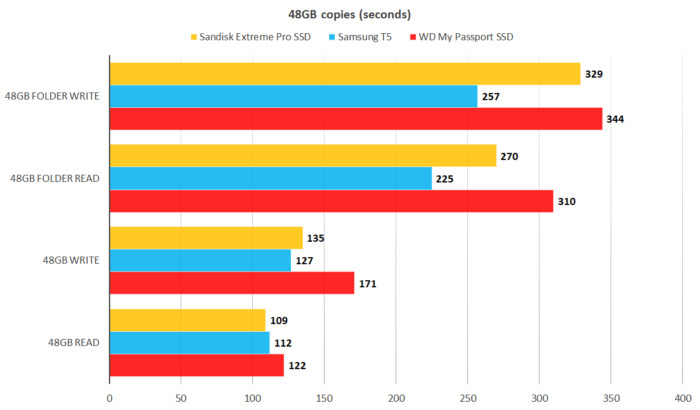 Though a tad slower than Samsung's T5, this portable SSD's physical design makes it a better travel companion. 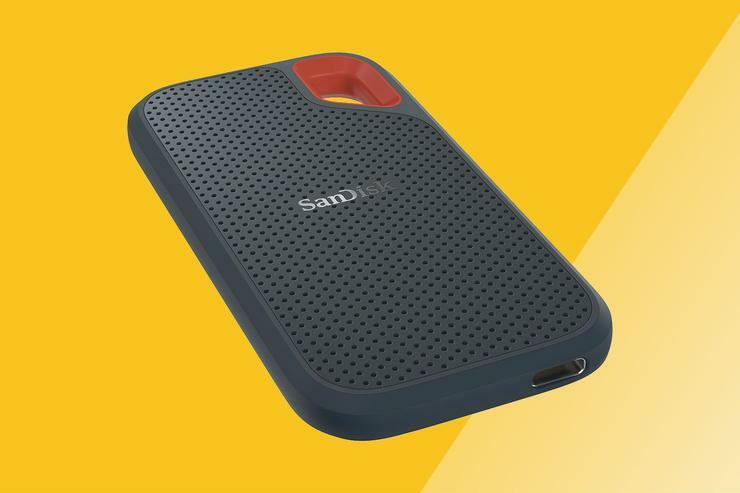 Measuring 3.78 x 1.95 x 0.35 inches, the Extreme Portable SSD is a hair broader and longer than its Samsung T5 and WD My Passport SSD competitors, SanDisk’s product is a heck of a lot more practical, though. The Extreme Portable SSD has rounded corners and a textured surface for a very comfortable grip. The shape and feel are unique enough that you won’t have trouble distinguishing it by touch from other items in your bag. There’s also a splash of orange that makes it very easy to spot visually. Kudos to the designer. Note that having a Type-C port doesn't necessarily mean it supports USB 3.1 Gen 2, so check your specs. 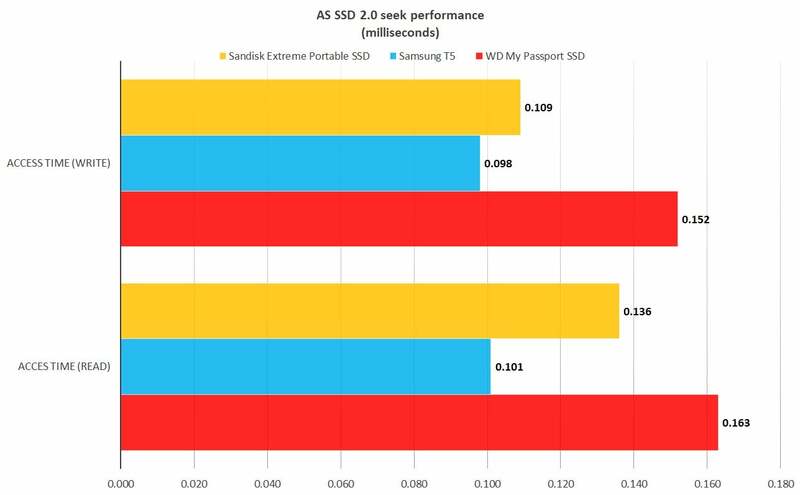 All modern USB SSDs support Gen 2, but you won't get full performance if your port doen't support it. Conversely, there are older Type-A ports that support Gen 2. Thanks USB Implementers Forum! The Extreme Portable SSD is available in flavors including 2TB ($560 on Amazon as of this writing), the 1TB capacity we tested ($270 on Amazon as of this writing), 500GB ($126 on AmazonRemove non-product link as of this writing) , and 250GB ($89 on AmazonRemove non-product link as of this writing). 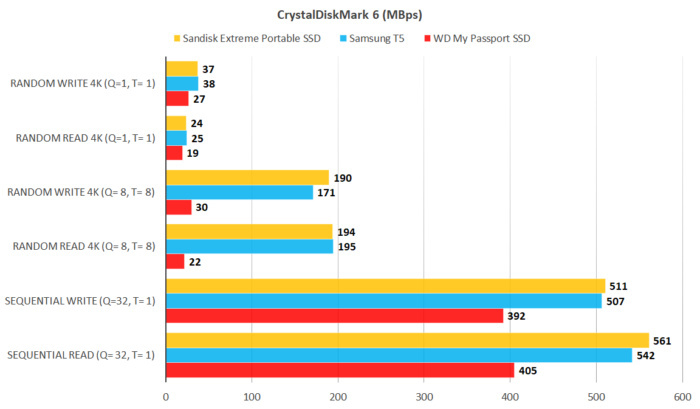 That’s only a little pricier than bare internal SATA SSDs. Sandisk includes a Windows/macOS app for enabling the password protection and encryption on the drive.